He’s on a roll right now and I love this new one. Sometimes artists will release the album cuts that are your favorites. They’ll put them out as singles. 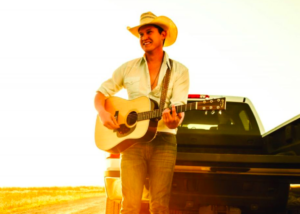 Jon Pardi has taken things to a new level with his sophomore album. Sophomore slump? More like Sophomore breakout. Anyway, like many country artists I’ve been streaming that entire album. One of my favorites on the record was She Ain’t In It. It’s stone cold country. I’m really hoping that today’s country fans will like this one. Jon has a traditional country sound. He’s found success mixing it with modern sounds. I’m really curious to see how you like this one. I like the way Jon did this one. I could see a traditional artist pulling it off from back a couple generations ago. Alan Jackson. Tracy Lawrence. Even George Jones. They were the best and I think Jon has much respect for them. The song is about a guy that’s really trying to get over a woman. It’s not that he doesn’t want to do fun things again. He just knows that when he does those things that the woman will be there. Maybe sometimes she’ll physically be there like at their old hangouts, but more of her memories. Going to the movies will be a reminder of their dates. Going for a drink will be a reminder of the times they would go for drinks. It’s all classic country stuff and mixed with a great traditional country sound.